Spring break in Barcelona? Sign me up! As soon as I booked my tickets I couldn't wait to see La Sagrada Familia, Park Guell, and sip sangria under the Barcelona sun! Being a travel blogger, I have seen so many pictures of beautiful Barcelona, so my expectations were high. 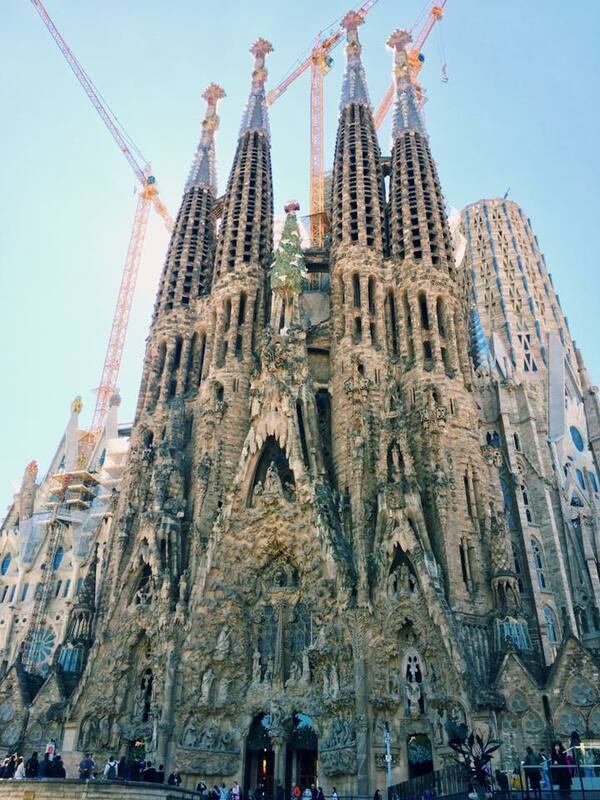 Was La Sagrada Familia really that intricate in person? Were tapas that delicious in real life? Let me tell me, the answer is yes! Barcelona 100% lived up to my high expectations, so keep reading to hear why! My favorite place that I visited in Barcelona, but if you are going make sure you buy your tickets online before hand! You also have to pick a time slot, so leave plenty of time to get there. I did not realize that it was on the outskirts of Barcelona, so it took a little longer than I thought. Also, wear some comfortable shoes and get ready to walk! Not only in the park, but to the park because once you get off the metro, you have to climb some VERY steep steps to get up to the park. Once you get in Park Guell, it is huge! I wanted to go so badly for the views of Barcelona and to take some pictures on the mosaic bench, but the park is actually so much bigger than the area that I always saw in pictures. 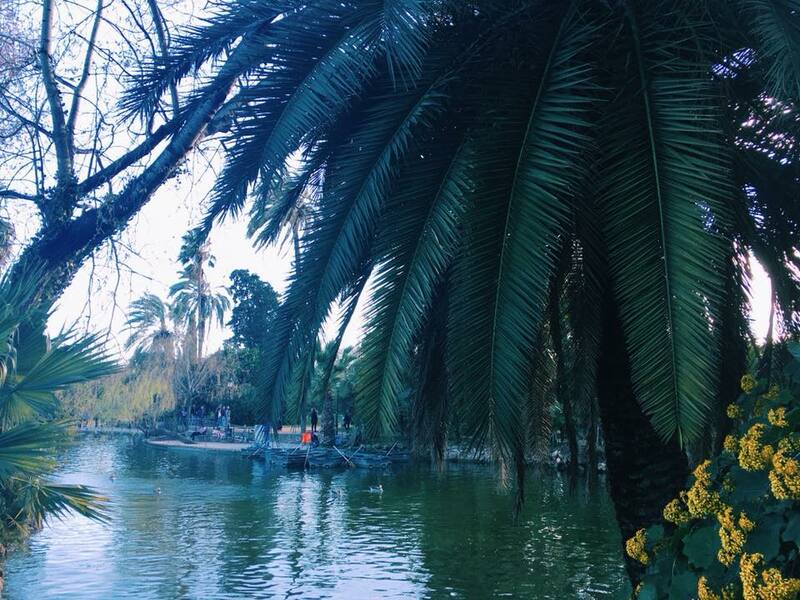 The park is a Gaudi masterpiece and there are beautiful blooming flowers at every turn. I loved walking through the whole thing and then finishing my trip looking out at Barcelona by the mosaic bench! La Sagrada Familia is a place that I would always see pictures of, but I never thought that I was going to have the chance to see it. I am so grateful and happy that I was because it is truly breathtaking when you turn the corner on your walk there and see it for the first time. The architecture is so intricate and like nothing else I have see before. I have been able to see so many old cathedrals during my time in Europe and nothing compares to La Sagrada. This is exactly how Gaudi wanted it! When he was chosen to design a new cathedral in Barcelona he scrapped all of the original plans to build a gothic cathedral and made something that was entirely his own. Sadly he died before he was able to see its completion and people are still working on it today. The outside is absolutely amazing, but the inside might just top it (you might have to go yourself an tell me what you decide)! The roof is like no other and the stain glass windows are out of this world. I happened to go on a pretty sunny day and the colors that shone out of the windows were incredible! While traveling throughout Europe this semester, I have for sure been on a budget. Usually when I see big landmarks like this one I don't go inside because it is free just to look. 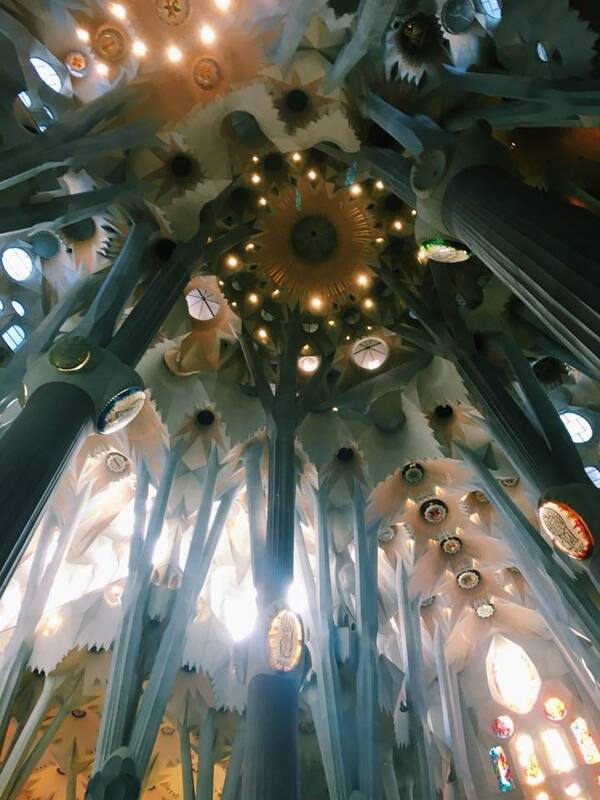 But exploring the inside of La Sagrada Familia is definitely worth the cost of the ticket! I had read so much about La Boqueria, a food market just off of La Rambla, and was so excited to go during my trip. 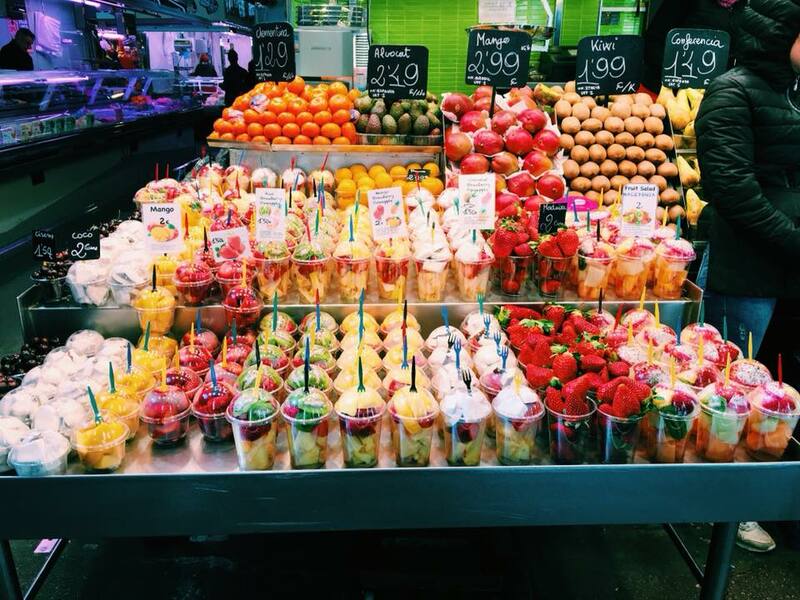 Those who know me best know that I love a good food market! I am always at London's many and during my travels I always try to hit one in each city. Why? Because they offer some of the most authentic food in the city, for (most of the time) not a bad price. La Boqueria was a little different from the food markets I am used to in London (not as many meal options, it was more of a place to buy your groceries). It was a super fun place though to walk around with a fruit cup and check out what the locals were buying! I love the concept of tapas because you can try so many different little things in one meal! I don't have any pictures of of all of the tapas that I ate in Barcelona because I just ate them way too fast! But every time I got tapas I always got patatas bravas (which are like fried potatoes with mayo which sounds weird but trust me here). I also tried my first paella and I couldn't get enough! The food in Barcelona was amazing and everything I ate was so delicious! This beautiful park was down the street from my Airbnb and it was so much fun to explore. It had the coolest fountains and areas with super thick palm trees that made you feel like you were in the middle of the jungle. There was even a little river where you could hire a boat to float around in! If that is not of your interest, this park was the perfect place to relax after a long day of site seeing and tapas eating! Barcelona was such a fun and unique experience for me! I loved experiencing Spain's unique culture and trying my best with my Spanish when ordering food at a restaurant! Barcelona was also a really cool place to stay in an Airbnb because I stayed right where the locals lived. I stayed in the Gothic Quarter and my neighbors were hanging their laundry off their balconies to dry and hung out in the near by cafes. This added to my cultural experience that I would not have had if I stayed in a hotel! If you are traveling to Barcelona sometime soon (first of all I'm jealous because I already want to go back) I hope that I helped you find some things to do! 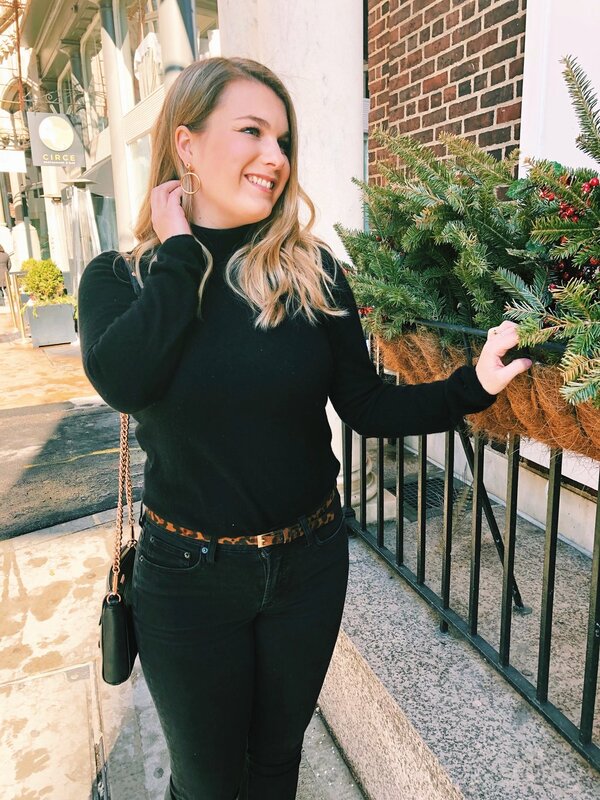 If you liked this post, leave me a comment down below and tell me what you think!